Obituary for Elostine Eldora (West) Phillips | McCoy-Moore Funeral Home Inc.
Elostine Eldora Phillips, 77, Myrtle Beach, South Carolina, and formerly of Columbus, Ohio passed away Sunday, February 3, 2019 at her residence. She was born October 16, 1941 in Charleston, West Virginia, the daughter of the late Orda and Lurie Rhodes West. Elostine retired from The State of Ohio Department of Health and Vital Statistics and also worked for Federal Glass. She attended Church of God of Prophecy in Columbus, Ohio and CLC in Myrtle Beach, South Carolina. 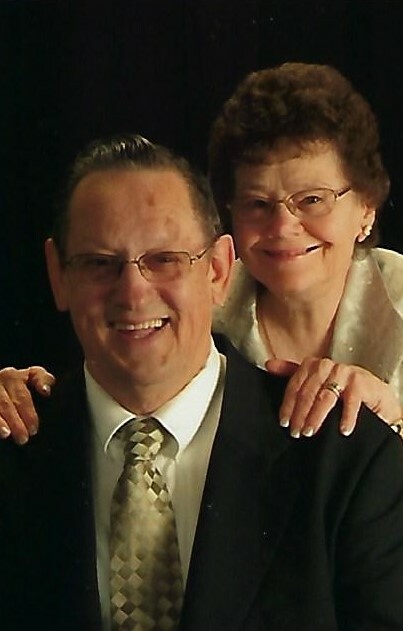 Elostine married Donald L. Phillips who preceded her in death in 2010 and to this union were born three sons: Damon (Rebecca) Phillips, Freetown, Indiana; David Phillips, Myrtle Beach, South Carolina and Delton (Susan) Phillips, Columbus, Ohio; sister, Earldine Ingram, Poca, West Virginia; grandchildren: Josh (Tara) Phillips, Hurricane, West Virginia; Ashleigh (Nathan) Etheridge, Scotts Hill, Tennessee; Delton “DJ” Phillips, Columbus, Ohio; Victoria Phillips, Lima, Ohio and Thomas Phillips, Gahana, Ohio; six great-grandchildren; step-granddaughter, Mandy (Tommy) Cook, Freetown, Indiana; one step-great-granddaughter, several nieces and nephews and her beloved Pet, Toby. In addition to her parents and husband, she was preceded in death by a grandson, Jonathan Phillips; brother-in-law, Clyde Ingram and father-in-law and mother-in-law, Donald and Opal Phillips. Funeral services will be held 12:00 PM Saturday, February 9, 2019 at the McCoy-Moore Funeral Home, Vinton Chapel with Reverend Josh Phillips and Reverend Pat Henson officiating. Burial will follow in the Vinton Memorial Park, Vinton, Ohio. Family and friends may call at the funeral home Saturday beginning at 11:00 AM until the time of service.